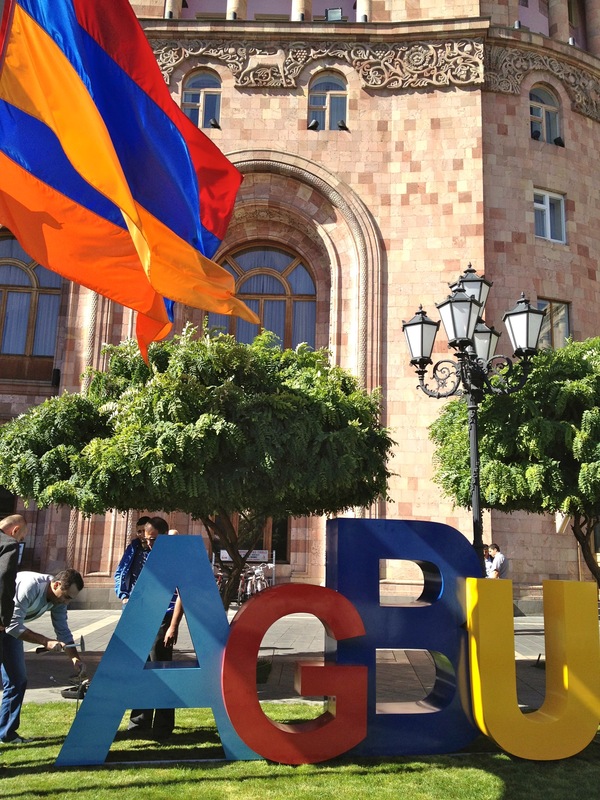 A full week of events leading up to AGBU’s 87th General Assembly in Yerevan officially began yesterday morning when a caravan of close to 110 AGBU delegates and supporters embarked on a two-day excursion to Karabakh. On the way, the group crossed through the beautiful Vayk region before arriving in the Syunik province. There, they took a ride on the world’s longest cable car line, which carried them to the 9th century Tatev Monastery. The visit to Armenia’s historic landmark – one of many scheduled tours around the General Assembly – provided the perfect context for discussions on the region’s future that will unfold over the next few days. Ways AGBU will continue to enhance development in Karabakh was on the agenda yesterday morning when Setrakian, accompanied by Chairman of the AGBU Armenian Representation Managing Committee, Ashot Ghazarian and AGBU Central Board members, met with Nagorno-Karabakh Republic President Bako Sahakyan. During the meeting, which was attended by Primate of the Artsakh Diocese of the Armenian Apostolic Church Archbishop Barkev Martirosyan, AGBU Central Board member Vasken Yacoubian and AGBU representatives, President Sahakyan gave an overview of Karabakh’s current political climate and prospects for socio-economic growth. He also praised AGBU for its commitment to maintaining the Armenian national identity in the diaspora and for advocating for Karabakh internationally. Before the meeting came to a close, Sahakyan opened the floor to the AGBU delegates, addressing questions and concerns. Meanwhile, back in Yerevan, delegates and guests were continuing to arrive in Armenia. Those who had not traveled to Karabakh joined in yesterday’s city-wide celebrations in honor of Erebuni-Yerevan’s 2,794th anniversary. Flags, banners and decorations adorned the capital and roads were closed, transforming downtown into pedestrian walkways where everyone could enjoy public exhibits. The day concluded with outdoors concerts and fireworks, setting a festive tone for the many AGBU-sponsored events that will take place across the capital in the coming days. Stay tuned for more updates from the ground as the week gets underway! 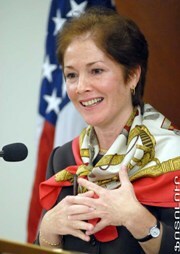 As part of her visit to the Armenian-American Diaspora communities, US Ambassador to Armenia, Marie L. Yovanovitch, accompanied by her Executive Assistant Susan Christy and Public Private Alliance Specialist at USAID Armenia, Jeffrey Paretchan, made stops in Philadelphia, Detroit, San Francisco and Los Angeles. On October 11, the Ambassador met with leaders of the Armenian General Benevolent Union (AGBU) in Glendale. AGBU South America chapter meeting in Montevideo, Uruguay, and visits of the ambassador of France to Argentina, and Armenia’s ambassador. Left to Right: Armenian Ambassador Vladimir Karmirshalyan, Krikor Manukian, Anahit de Karmirshalyan, French Ambassador Jean Pierre Asvazadourian, Ruben Kechichian. 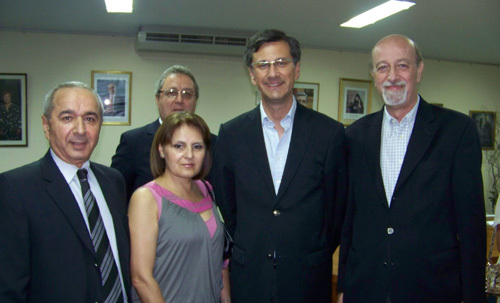 AGBU’s Buenos Aires Center welcomed ambassadors from France and Armenia on the weekend of March 20, 2010, as well as Sao Paolo, Brazil, and Montevideo, Uruguay, chapter chairmen and AGBU Central Board of Directors member Joseph Basralian. France’s ambassador to Argentina, Jean-Pierre Asdvadzadourian, was accompanied by members of the French-Armenian community when he met with AGBU chapter directors and dined at the restaurant of the Instituto Marie Manoogian, AGBU’s Buenos Aires school, on the evening of March 20. Earlier the same day, Krikor Manukian, AGBU Sao Paolo chairman, and Dr. Gustavo Zulamian, AGBU Montevideo chairman, met with Antonio Sarafian and Rubén Kechichian of the Buenos Aires leadership and members of the youth league to discuss short and long-term projects pursued by the region’s chapters. AGBU Buenos Aires was pleased to have present Armenia’s ambassador to Argentina and Uruguay, Vladimir Karmirshalyan, who spoke briefly about events in Armenia. On March 19, the Buenos Aires leadership welcomed AGBU Central Board member Joseph Basralian and his wife, Jackie, who toured the chapter’s projects in the city and later met with Rubén Kechichian and Hampartzoum Haladjian, president and vice-president of the chapter, at the Instituto Marie Manoogian. On Saturday, January 24, the renowned Literaturhauscafe, a literary meeting place in Hamburg, was the site of the first meeting of Hamburg’s young Armenian professionals. Armen Chamlaian and Peter David Bidrosian, who are both based in Hamburg, were the initiators of this event. 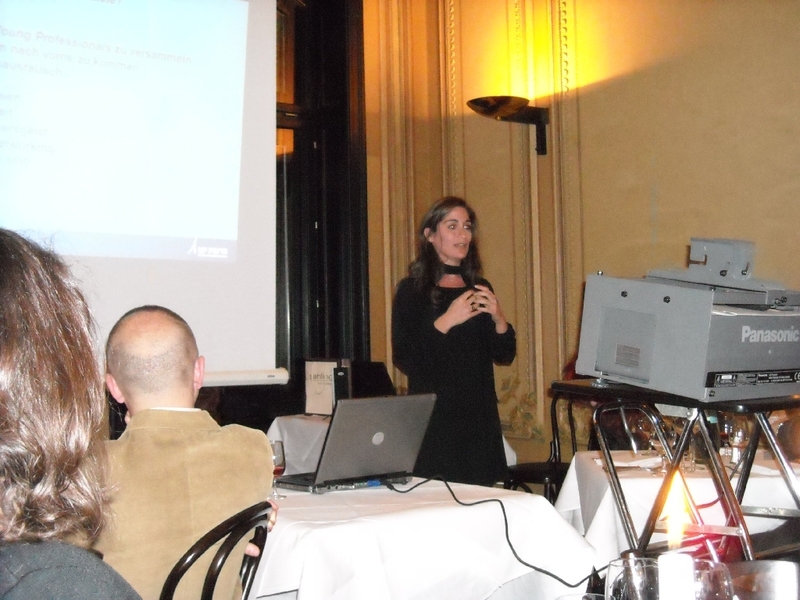 During this meeting, a first for AGBU in Hamburg, AGBU Europe Project Manager Zarouhi Odabashian introduced the international organization and its work in Armenia and the Diaspora as well as AGBU Europe’s main projects to the audience before turning to AGBU’s Young Professional worldwide network. Thurs. 01:00pm in Los Angeles.